MSRP: $42,335 – $12,447 Northwest discount. OR lease for $329/mo for 36 months. 12k miles per year, $350 security deposit, $5978 down payment, financed through Ally, Residual $19,050. See dealer for complete details. MSRP: $25,020 – $3500 rebate – $1532 Northwest discount. Sales Price: $19,888, Stock #HW572239. Payments $199/mo for 84 months, 2.9% APR, $5698 down payment. See dealer for complete details. MSRP: $39,665 -$6,250 w/ USAA and Chrysler Capital discount – $4,450 dealer discount. $370/month + tax lease for 36 months through Chrysler Capital. 12k miles per year, no security deposit, $2,499 due at signing. Lease: $286/month + tax for 36 months through Chrysler Capital. 12k miles per year, $395 security deposit, $3,699 due at signing. MSRP: $39,665 – $6,250 w/ USAA and Chrysler Capital discount – $4,450 dealer discount. 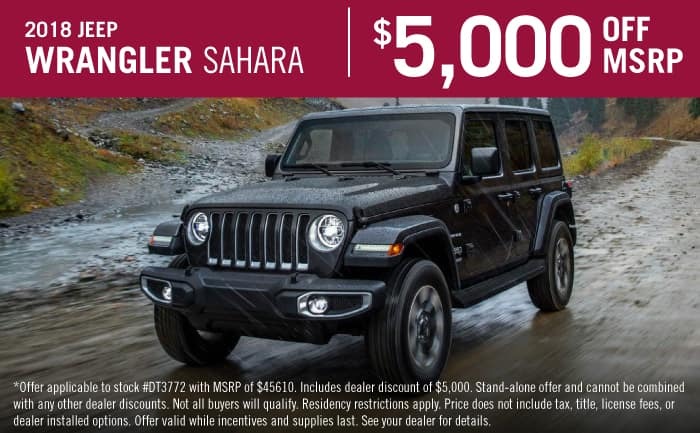 MSRP: $25,020 – $4,000 rebate – $1,325 dealer discount. Get $8000 off a new Jeep Grand Cherokee Limited! 2015 JEEP GRAND CHEROKEE LIMITED, MSRP $44695 (-$3000 REBATE – $5000 DEALER DISCOUNT). SALES PRICE $36695. STK#F10804. 2015 JEEP RENEGADE LATITUDE: MSRP $22290 (-$2500 REBATE – $2500 DEALER DISCOUNT). SALES PRICE $17290 STK# F10384. 2015 CHRYSLER 300: MSRP $33685 (-$3500 REBATE – $3197 DEALER DISCOUNT). SALES PRICE $26988. STK#F10706. Get $10,000 off a new V8 Ram Lone Star Crew! 2016 RAM LONE STAR V-8, NO CHARGE HEMI, MSRP $43035 (-$4978 REBATE – $5022 DEALER DISCOUNT). SALES PRICE $33035. STK#G8473. Get a new Ram 3500 discounted over $15,000 dollars! 2015 RAM 3500 LONGHORN CREW CAB 4X4, MSRP $72150 (-$15162 DEALER DISCOUNT). SALES PRICE $56988. STK#F9836. And during the Drive & Discover Event at Texan Dodge, get a free hemi on every new 1500 Lone Star Crew!